Food For Joy! 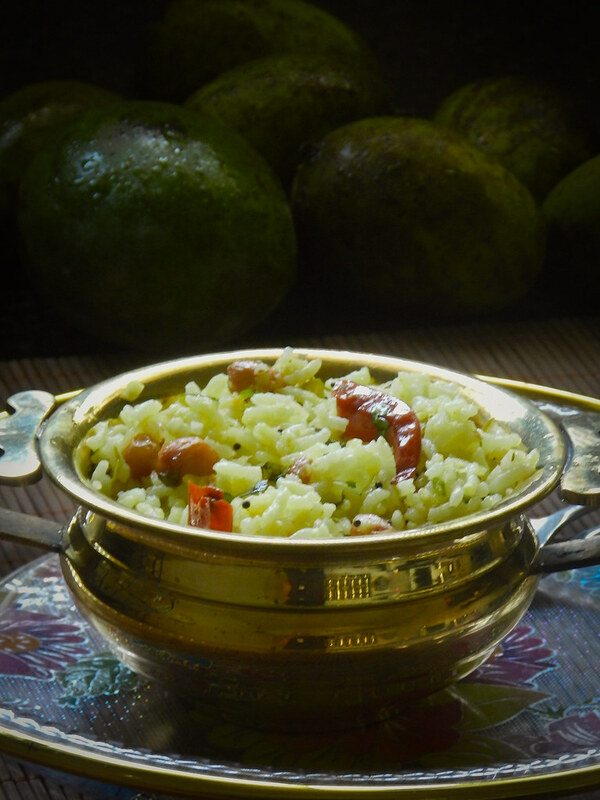 Raw Mango Rice (Mavinkai Chitranna) - Food For Joy! My love for Mangoes never dwindles. Every year I see myself overindulging into these fresh fruits, which makes me happy and float away into a Promised Land. Either ripe or raw, this fruit is a tongue tickler for many of us. My family loves to gorge into Mangoes once they make their appearances during summer. 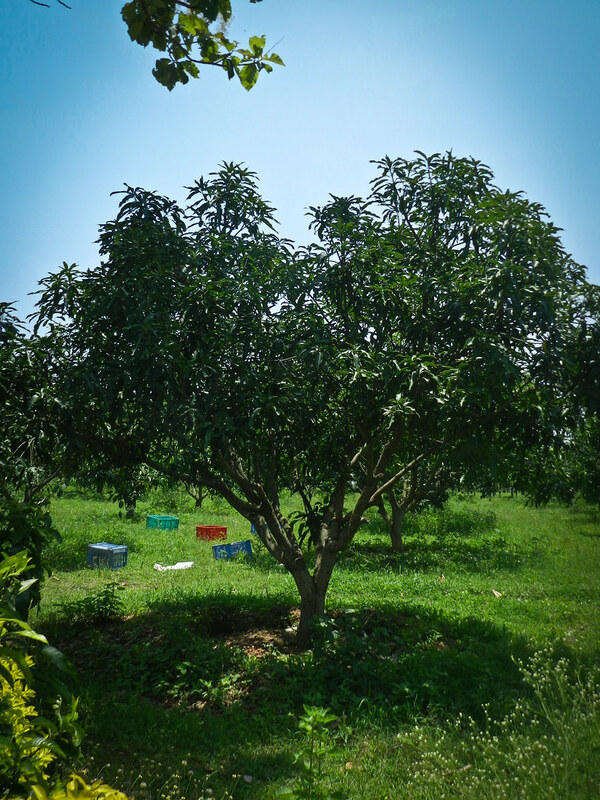 This time we never missed to savor the Mangoes from my most favored organic Mango farm “Hashar’s Folly“. A year back we got introduced to the beauties that hailed from Raheel’s farm and since then there was no looking back. 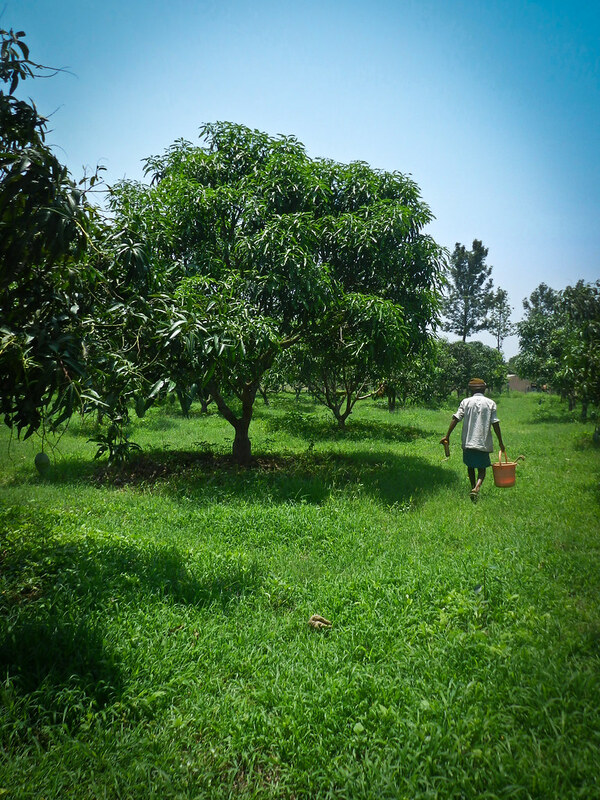 As the year hit the month of March it was a sweet call from the King of fruits. 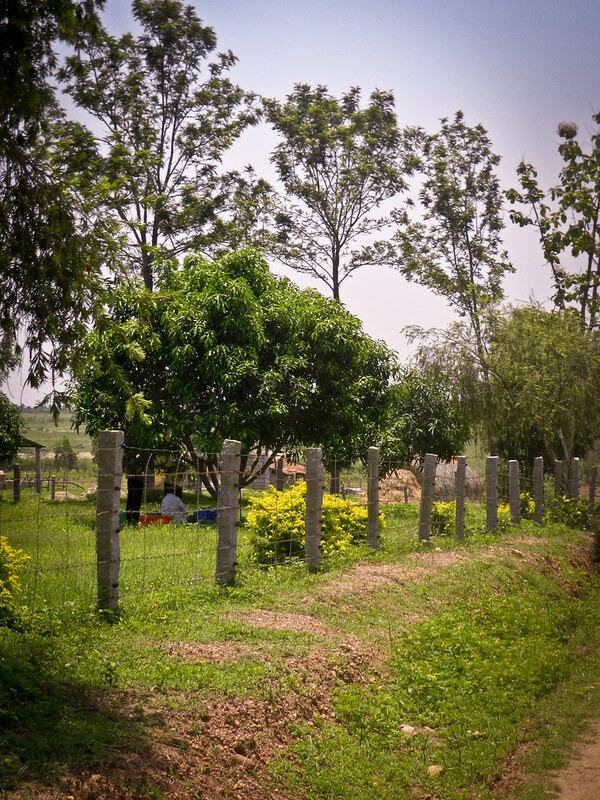 This time I visited the farm with my camera and captured all what I wanted, just to flaunt what we have at our stretch here in Shimoga. 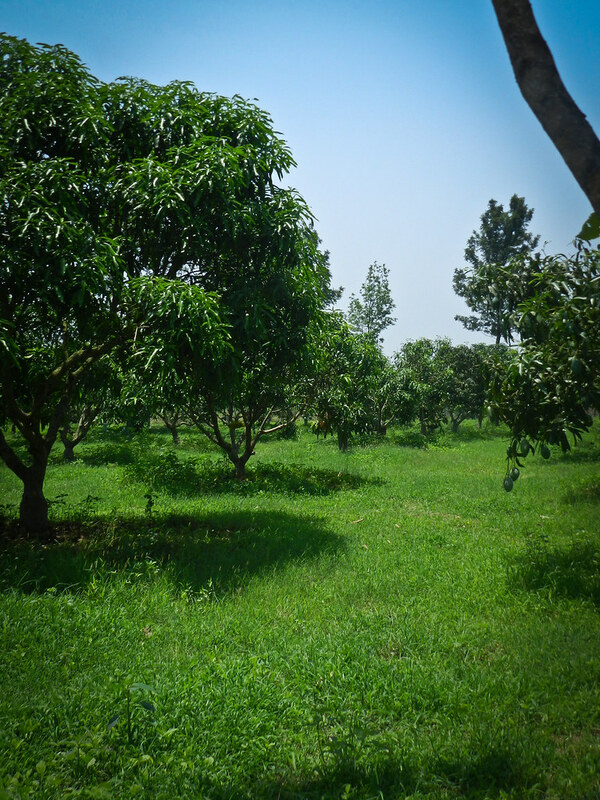 Fresh and sweet Mangoes is what we all look for and my pick will always be from this farm. 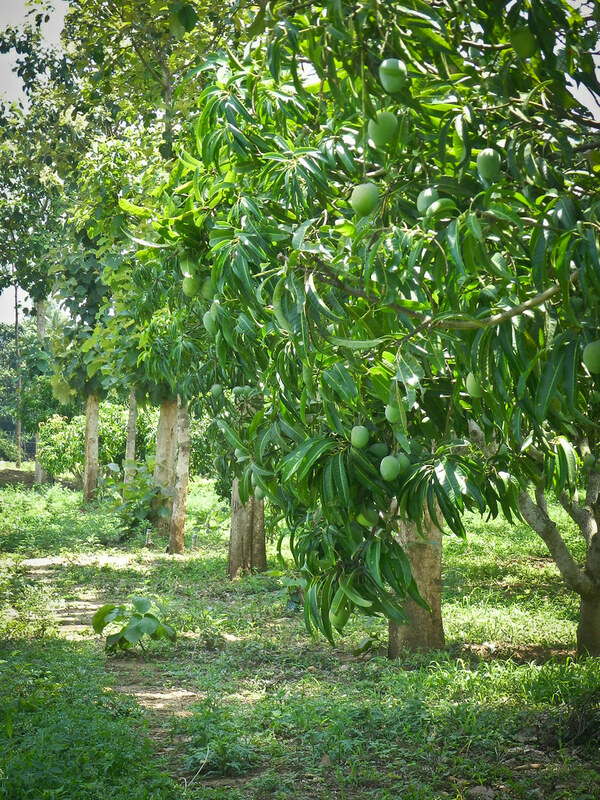 Our taste buds have accustomed themselves firmly on the aftertaste of these Mangoes making it difficult for us to pick on Mangoes that come from the local market. These pictures are definitely speaking up for themeselves and they need no narration. 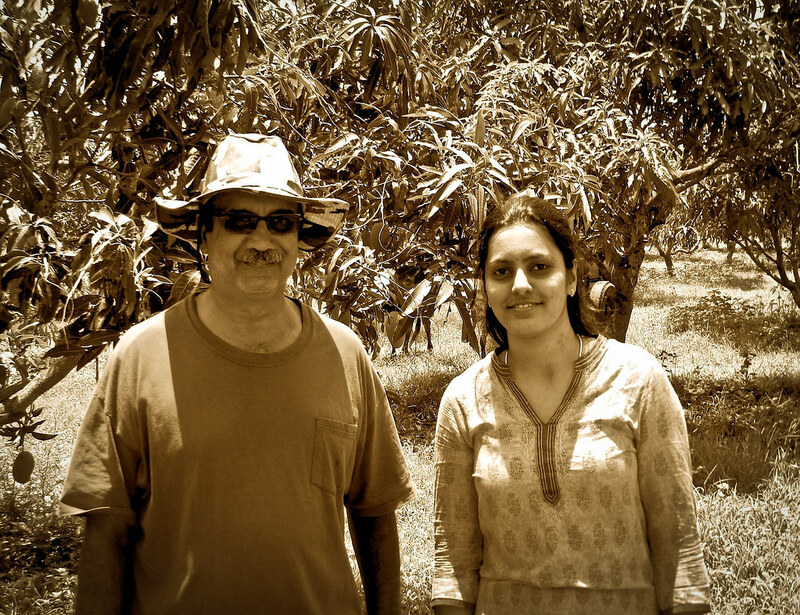 When we visited the lovely farm we were lucky enough to meet the person Raheel himself. It was our second meeting with him since last year. 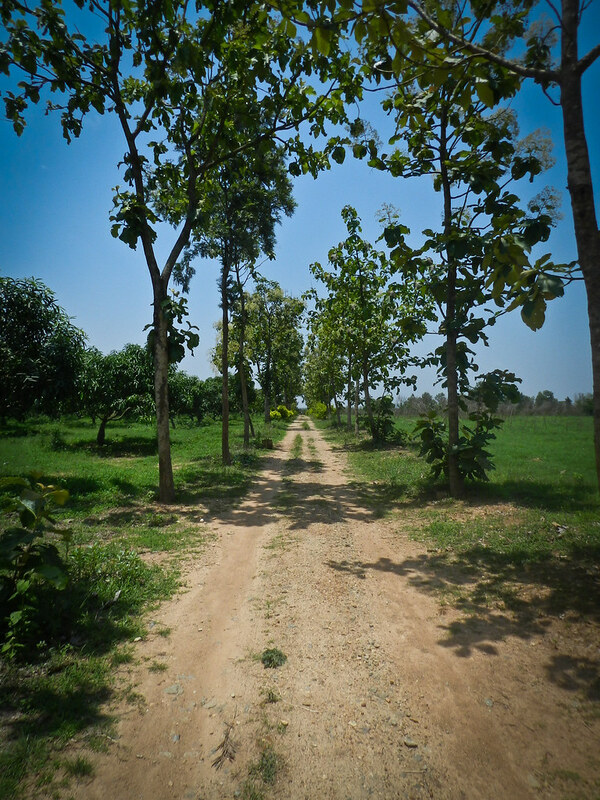 The place itself is so beautiful and scenic, that you would want to take more and more pictures until the heart is satisfied. Thanks to some wonderful people like Raheel who have made Shimoga a place for obtaining one of the most special fruits that comes only once a year to satiate our platters. The take away was immensely gratifying. 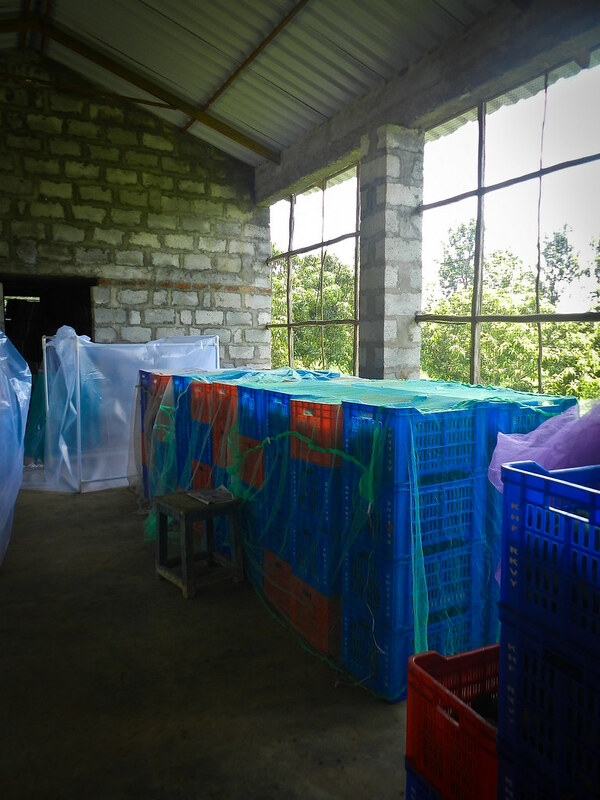 Huge bags of Alphonso / Badami Mangoes that were polished in no time. 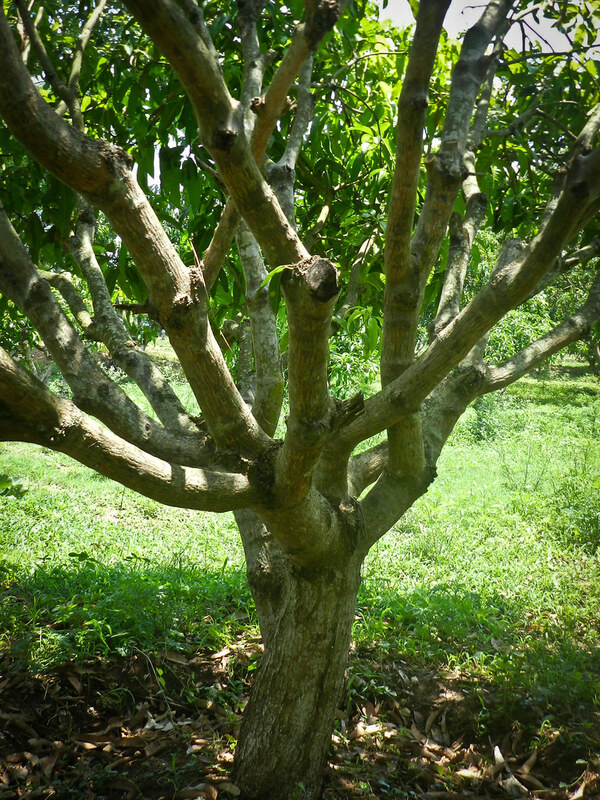 We went around the orchard looking at the pretty jewels hanging from the trees, ready to be harvested. 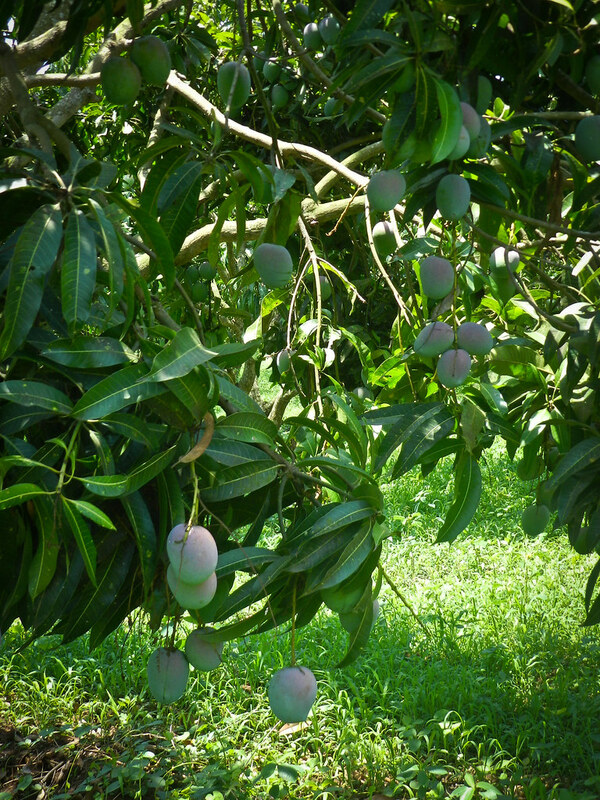 The most pretty ones were the Sindhura variety of Mangoes that had a pale pink colour on them. 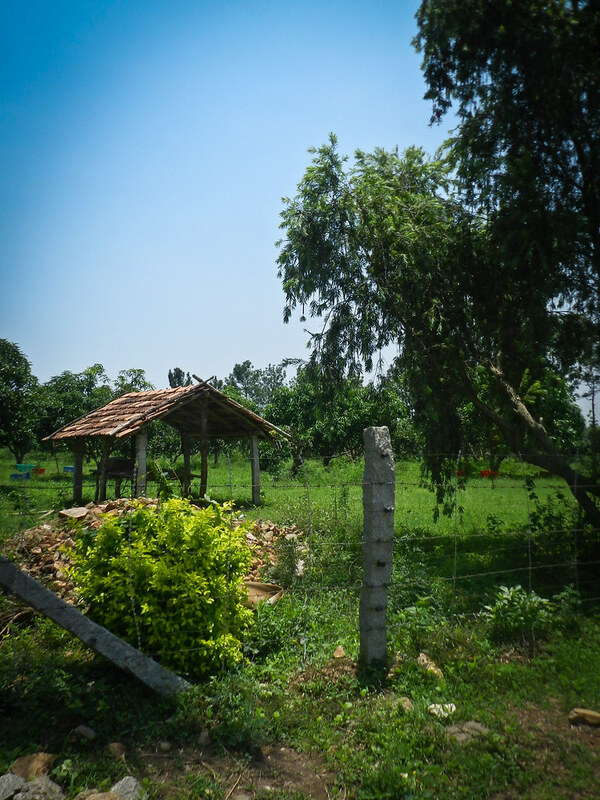 The visit to Hashar’s Folly is always a memorable one. 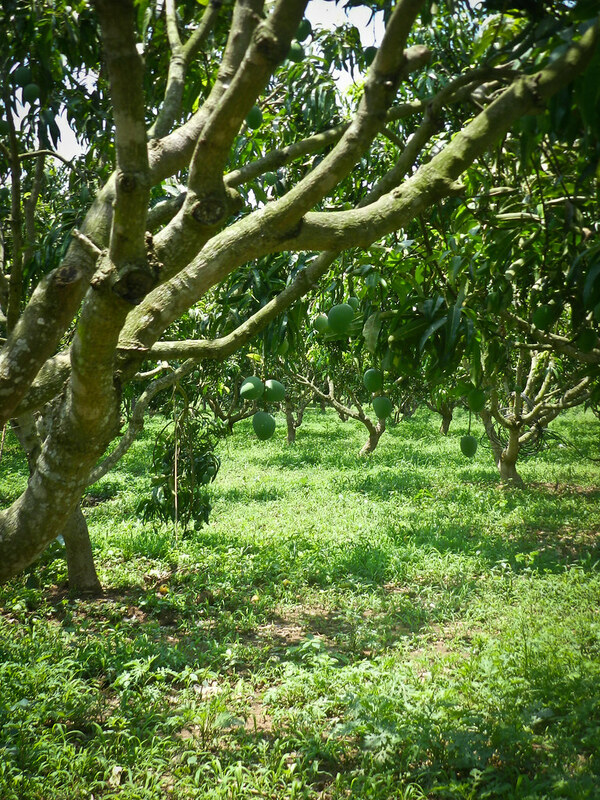 I would like to put it this way, it is one of those paradises of Shimoga. 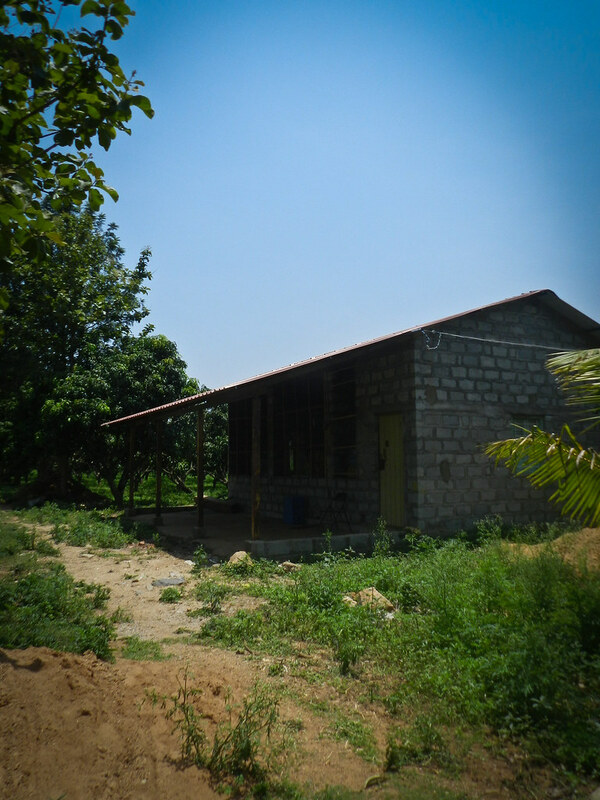 A few shots clicked my me are way too less to show you whole picture of what we experienced. 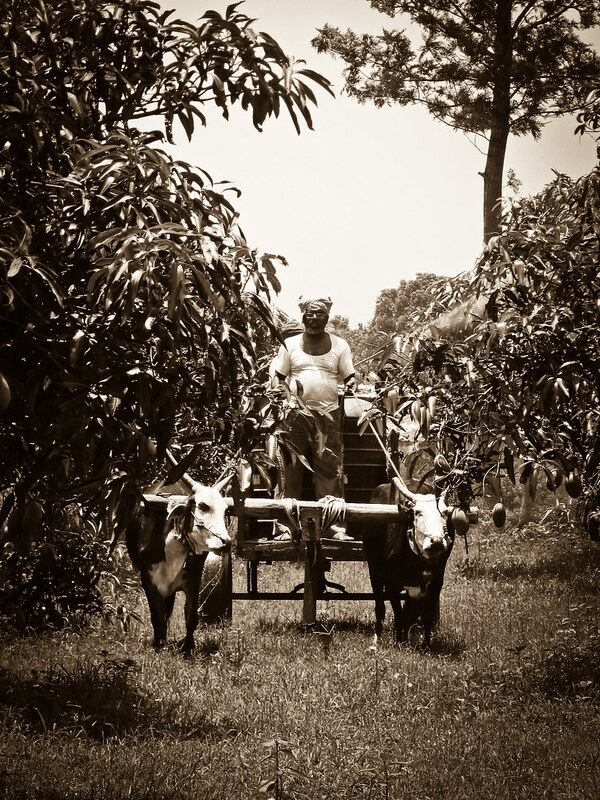 But a glimpse can make you understand how beautiful a man made wonder can be if he makes up his mind to do something, specially in the field of farming. 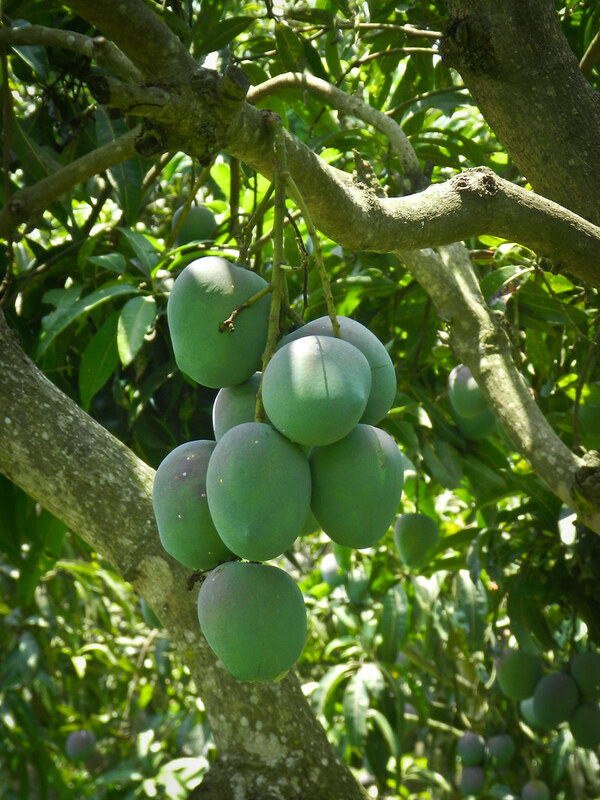 This time I didn’t cook using these Mangoes, instead, we savoured them as they are. 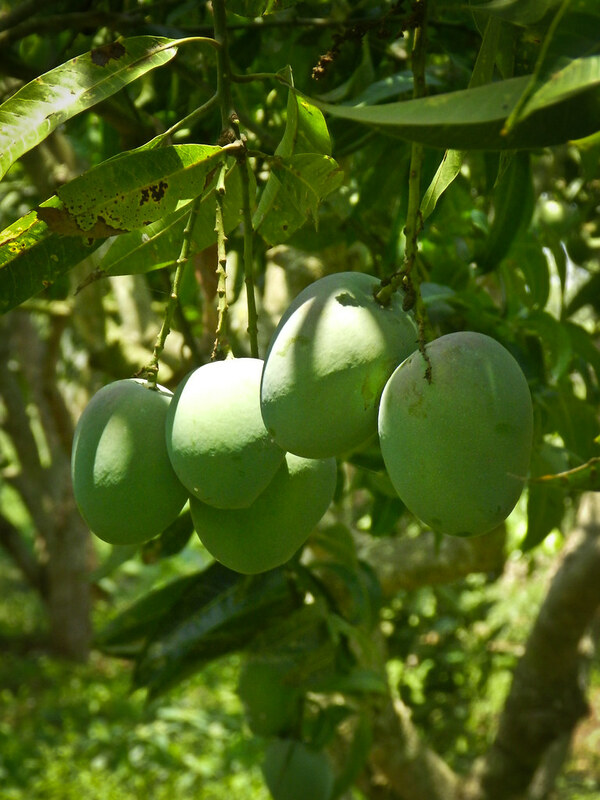 But this year couldn’t pass by without having a post involving Mango as the prime ingredient. 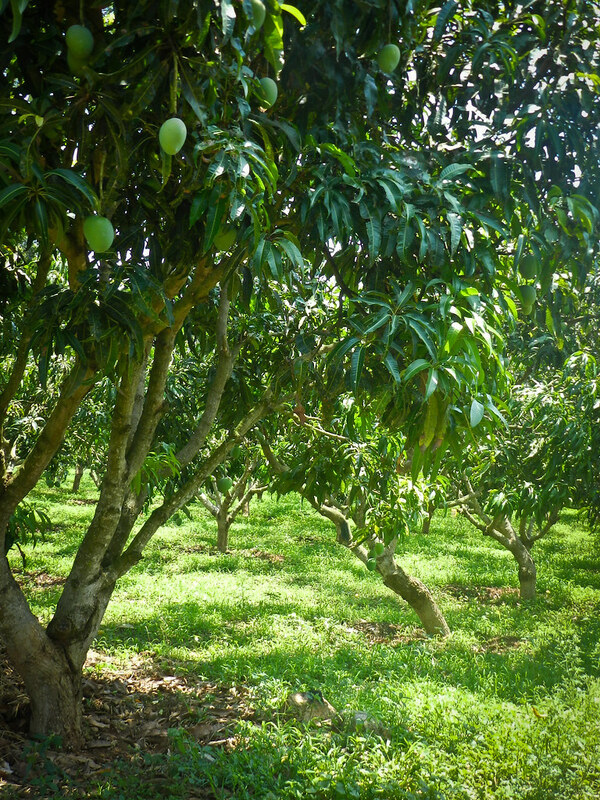 Raw Mangoes on their own are savored by many. Just by mixing chopped raw mangoes with salt and chilli powder can slake the taste buds. 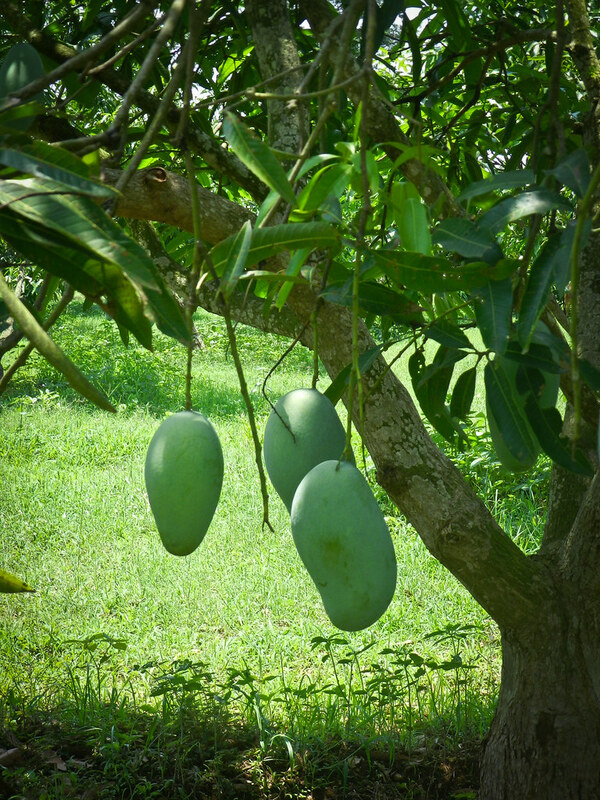 I keep myself aside from eating raw mangoes directly, while the husband is the other way round. 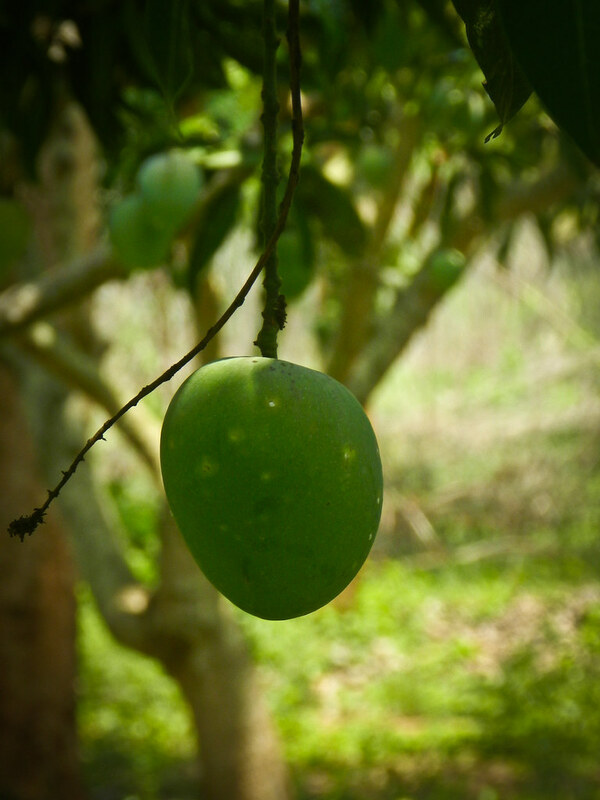 Raw Mangoes that are in a cooked form, chutney / thambuli or may be as a pickle is ideal for me. 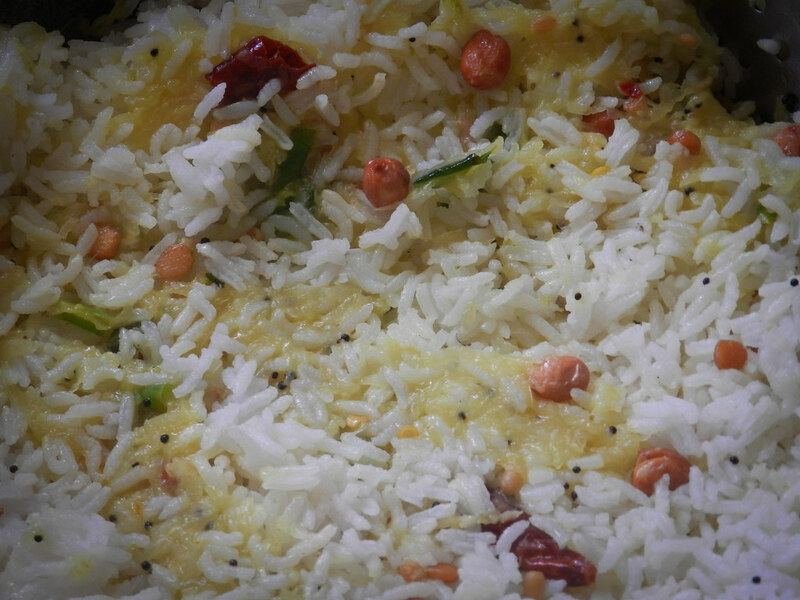 The most favorite way is of-course Mavinkai Chitranna (Raw Mango rice). This could be eaten for breakfast, lunch or dinner. The personal favorite is to dunk every spoon of it into beaten curd or thambuli and savor. 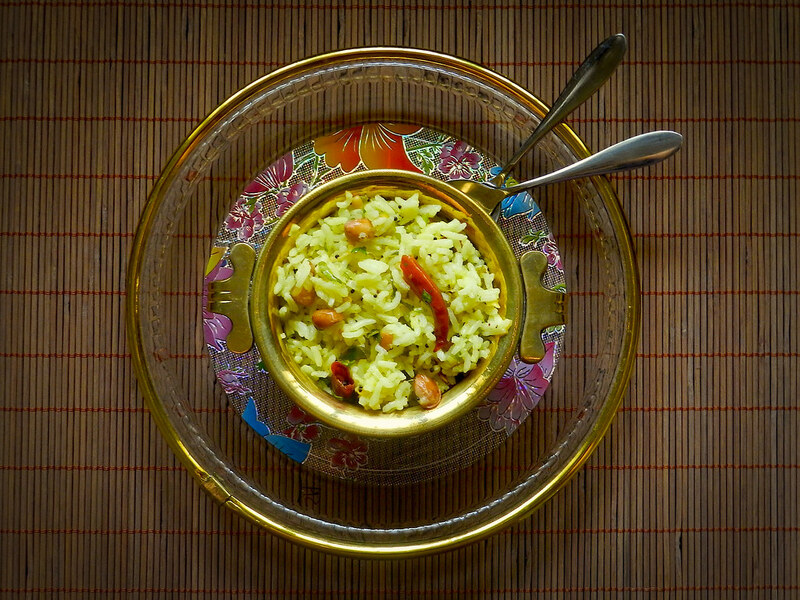 There are ideally two ways to make Raw Mango rice. 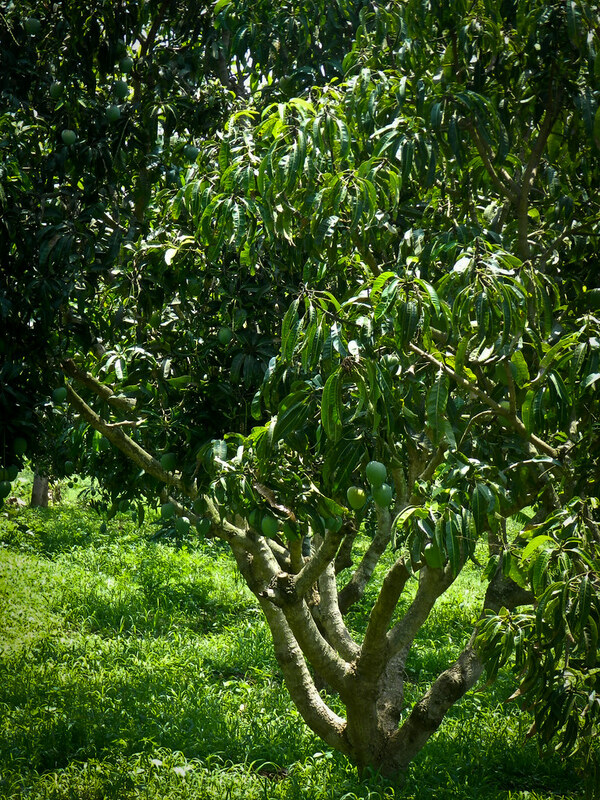 I follow an easy method, still, the traditional method of grinding all the ingredients is the best way to make Mango rice. I’m elaborating both the methods here. You may follow whichever is suitable and comfortable. 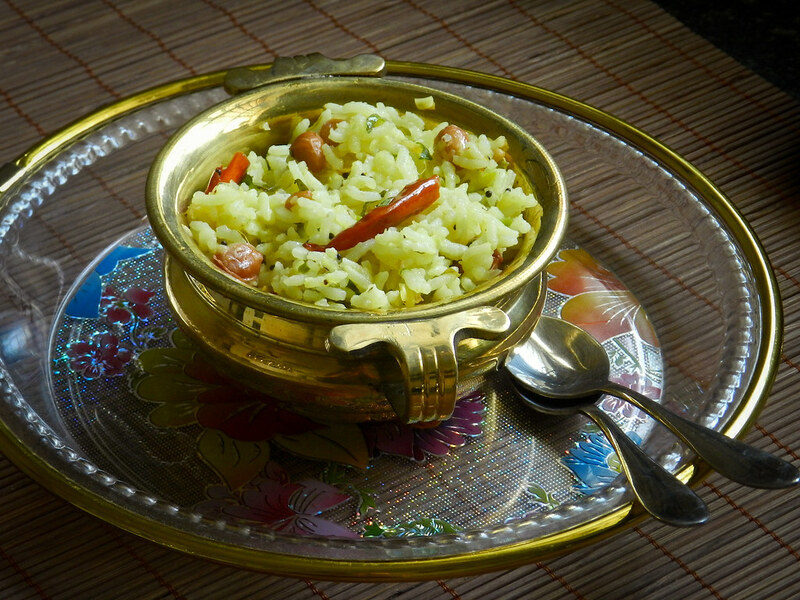 Mavinkai Chitranna is a rice based recipe that uses Raw Mango as the prime ingredient. Tempered using the right spices it makes a good breakfast, lunch or dinner! Step 1: Drain the rice that has been soaking for half an hour. 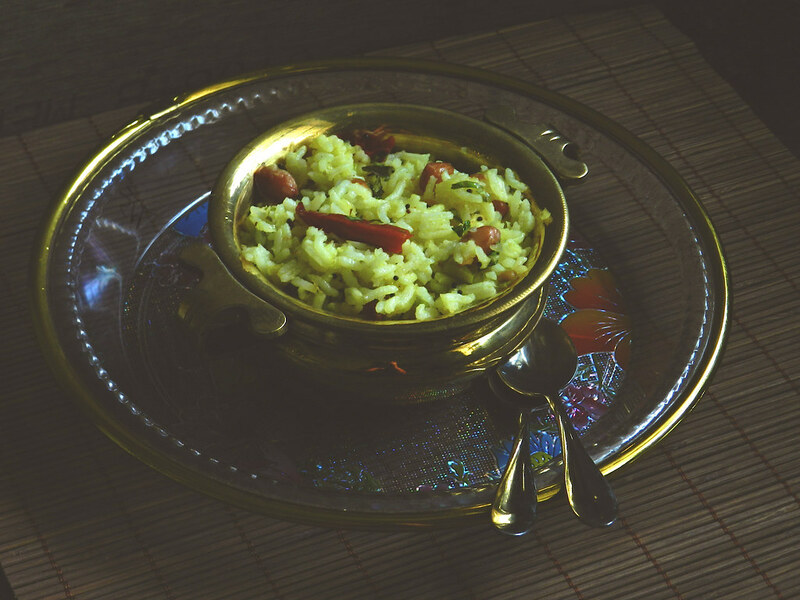 Cook the rice in a pressure cooker or electric cooker with 2 cups of water and salt. 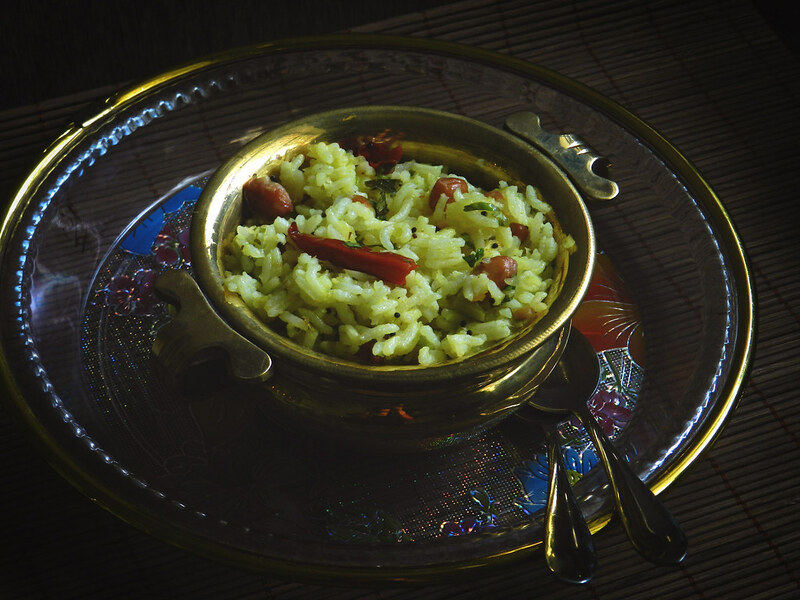 Once cooked, spread the rice in a bowl so that it cools. Step 2: Grind all the ingredients under the "For the Ground Masala" section in a blender and keep it aside. Step 3: In a wok, add the vegetable oil, once it heats up, add in the cashew nuts and roast it lightly. Remove and keep it aside. Now roast the ground nuts roast it lightly. Remove and keep it aside. Now add in the mustard seeds. Once the seeds stop popping, add in the channa dal and urad dal. Once these roast lightly, add in the curry leaves, dry red chillies and green chillies. Roast lightly. Add in the turmeric powder. 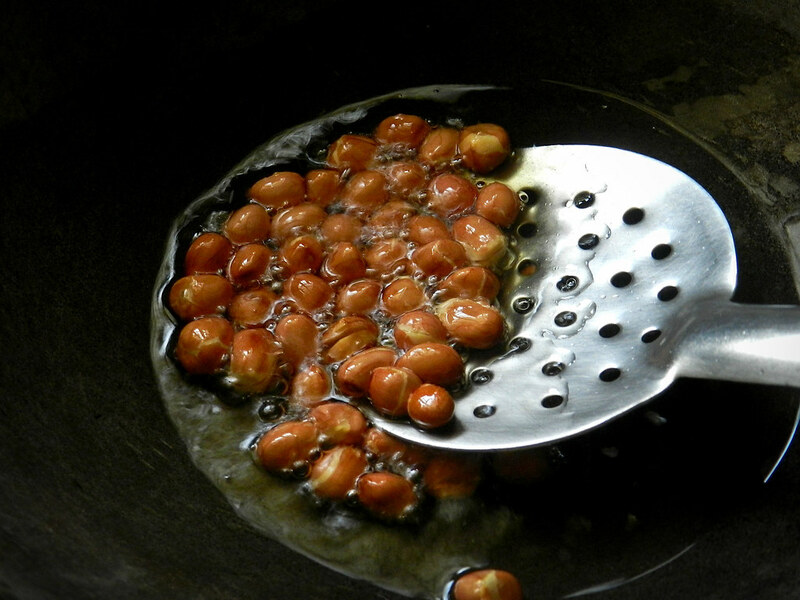 Step 4: Now add in the ground masala and cook this masala on a low heat until all the oil separates. 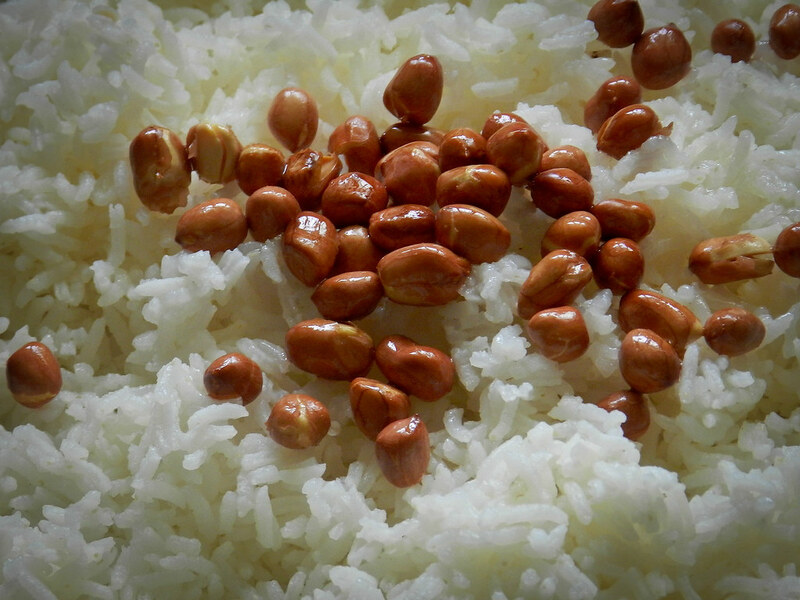 Step 5: Once the masala is cooked assemble the rice, cashew nuts, ground nuts and this masala and mix well. Sprinkle coriander leaves and Serve immediately. Step 2: In a wok, add the vegetable oil, once it heats up, add in the cashew nuts and roast it lightly. Remove and keep it aside. Now roast the ground nuts roast it lightly. Remove and keep it aside. Now add in the mustard seeds. Once the seeds stop popping, add in the channa dal and urad dal. 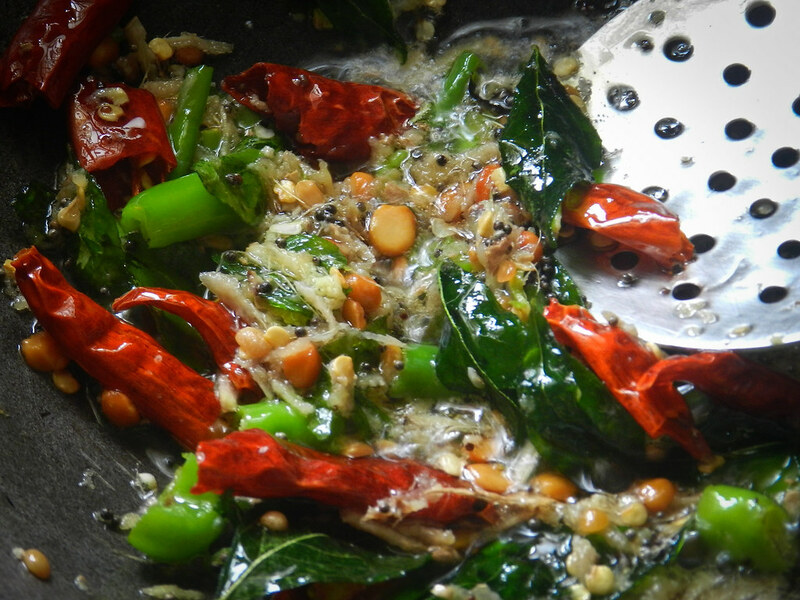 Once these roast lightly, add in the curry leaves, dry red chillies and green chillies. Roast lightly. Step 3: Next add in the grated raw mango, salt and turmeric powder and let it cook until all the oil separates. 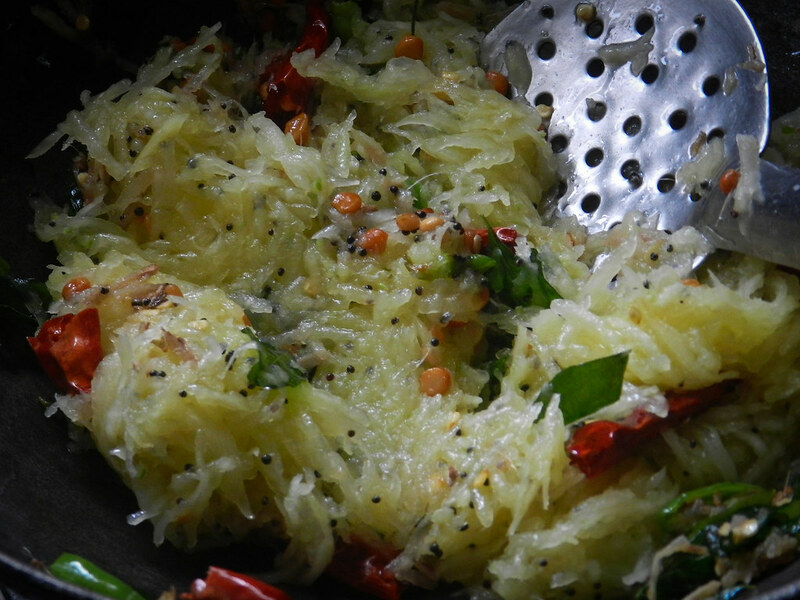 Add in the grated coconut. Mix well. Wow! What a presentation. 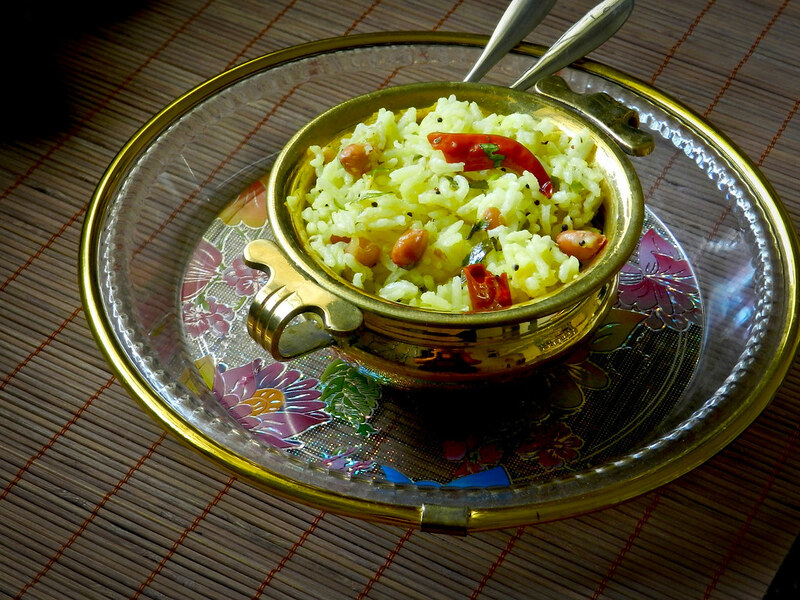 Raw mango rice is a must have dish in the marriage parties. 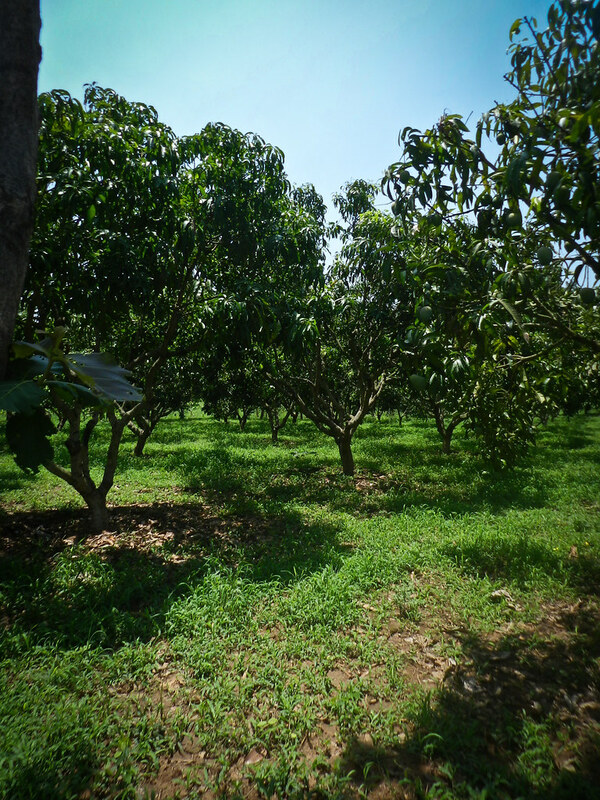 I felt elated on seeing organic farms. You pose nice recipes, and the accompanying photographs are also very nice. I had one question, in many recipes you say 1/2 a cup minus 1tbsp. What exactly do you mean by that ? Does reducing 1tbsp makes any difference? Dear Pratiba. Been so Long time since you posted anything. I hope everything is fine on your side and your family. I was anxious hence wrote you an email also. Take care Pratiba. You never fail to amaze me with your writings. I always check your photographs and writing first and then hop over to see the recipe. I have tried your biriyani, mango cake and eggless mug cake. all have turned out well. i even tried your kerala gravy and it is the best gravy ive tasted so far. 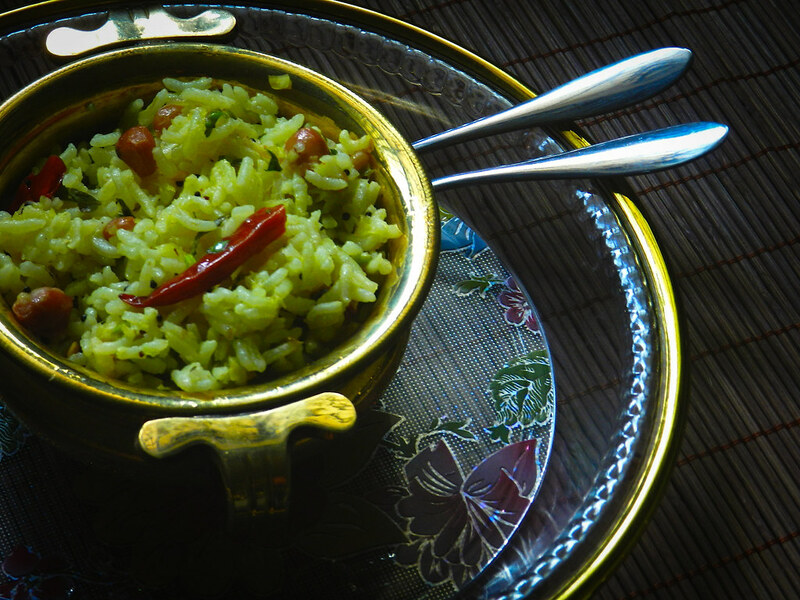 keep posting such yummy recipes… love your blog. big fan… Thumba khushi agutte nim blog odakke… cheers…. !!! !